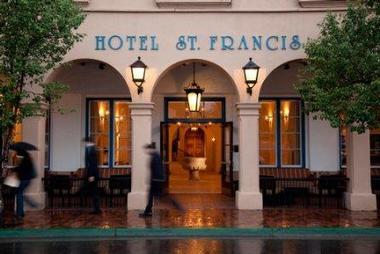 Named after the patron saint of Santa Fe, the Hotel St. Francis is the oldest hotel in Santa Fe, New Mexico. This beautiful historic hotel celebrates the history of the region and features a large welcoming lobby with Native America-inspired accents, serene, luxurious accommodations, and an array of amenities and facilities to cater for every need. 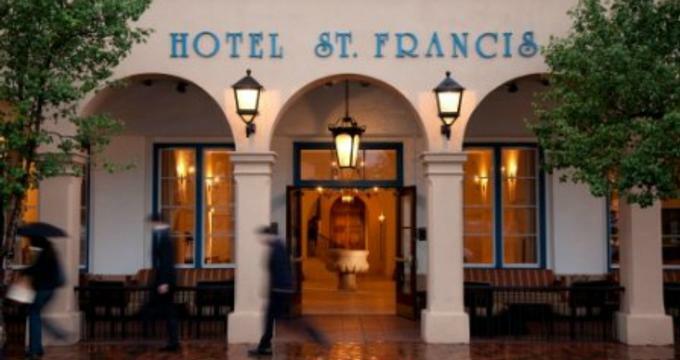 The Hotel St. Francis is ideally located just one block from the historic Santa Fe plaza and within walking distance of the town’s most popular attractions, galleries, museums, restaurants, and more. Guests staying at the Hotel St. Francis are also ideally placed to enjoy the many festivals that the town hosts every year on the plaza. 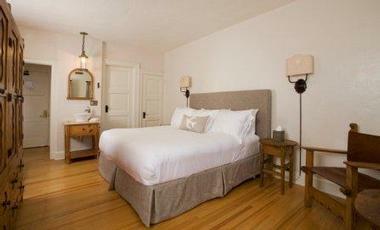 The Hotel St. Francis features 80 well-appointed guest rooms beautifully decorated in the authentic style of Santa Fe's early Franciscan missionary settlers with rustic-chic décor and handcrafted furnishings in earth rich tones. Modern conveniences in every room include flat-screen televisions, in-room safes, individually climate control, hairdryers, fridges and rollaway beds (Deluxe Rooms), and complimentary wireless Internet. Standard Guest Rooms feature hardwood floors, double, queen or king-size beds dressed in luxurious Frette linens and down comforters, and en-suite bathrooms with showers, fresh towels, and organic toiletries. Deluxe Guest Rooms offer added levels of luxury and space with either one queen or king-size bed, or two double beds dressed in luxurious Frette linens and down comforters, en-suite bathrooms with showers, fresh towels, and organic toiletries, and spacious living areas with reading chairs and tables, armoires and refrigerators, and breathtaking views. 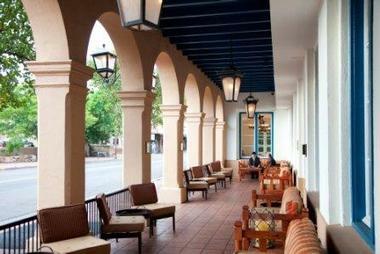 The Hotel St. Francis features an option of places to dine and enjoy drinks. Tabla de Los Santos Restaurant is located on the first floor of the hotel and serves a seasonal menu of organic, farm-to-table cuisine with simple sophistication and surprising complexity. Hailed as one of the best restaurants in Santa Fe, Tabla de Los Santos Restaurant is open for breakfast, lunch, and dinner every day of the week except Mondays and Tuesdays. Hotel St. Francis is home to the distinguished Secreto Lounge, which serves an array of handcrafted cocktails and signature spirits, fine wines from around the world, and local and international craft beers in an elegant and sophisticated atmosphere. 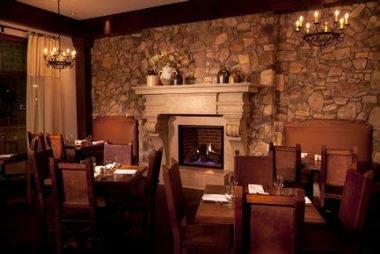 The Gruet Winery Santa Fe Tasting Room offers guests and visitors the opportunity to taste nationally-acclaimed sparkling wines produced by Laurent Gruet in the cozy indoor tasting room or on the outdoor patio with gorgeous views. The Hotel St. Francis offers an array of amenities and services, including an onsite restaurant, lounge and full service bar with indoor and outdoor seating, a fully equipped fitness center, a 24-hour business center, over 1,000 square feet of meeting space, and private on-site parking. 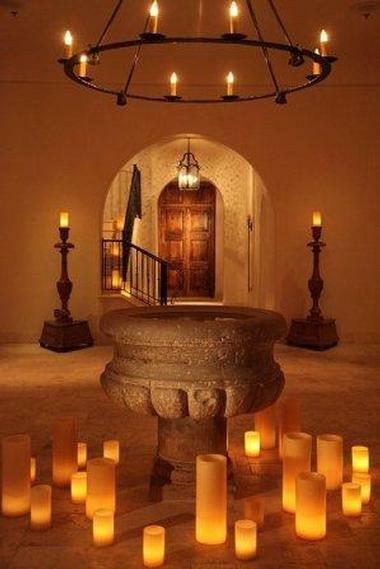 Other services include complimentary wireless Internet access throughout the property internet access, complimentary historical Santa Fe walking tours on Saturday mornings (seasonal), discounts off purchases at various premium local shops, restaurants and attractions, and a variety of concierge services at the renowned Concierge Inger Boudouris. Hotel St. Francis offers unique wedding and meeting venues with historic charm, modern amenities, and experienced staff to cater to every need. Meeting, event and wedding spaces include the hotel’s spacious, air-conditioned and candlelit lobby, the grand DeVargas Ballroom, the Tabla de Los Santos Restaurant with both indoor and outdoor options, the Garden Patio and the Secreto Lounge and Loggia. The hotel also offers a range of modern meeting spaces for all types of business gatherings from small board meetings to large conferences and services include state-of-the-art amenities and technologies and professional staff. Santa Fe offers a variety of historical, cultural and outdoor attractions and activities, such as the Georgia O’Keeffe Museum, the New Mexico Museum of Art, the Palace of the Governors, and the historic Sante Fe Plaza. Other notable things to see and do in Sante Fe include the Santa Fe Farmer’s Market, which is located right opposite the hotel and is New Mexico’s largest farmers’ market with over 150 mobile vendors and hundreds of different agricultural products. The Santa Fe Railyard, Rodeo de Santa Fe, the Santa Fe Opera, the Santa Fe Bandstand, the Santa Fe Indian Market, the Santa Fe Wine Festival, Fiestas de Santa Fe, the Santa Fe Independent Film Festival, and Ski Santa Fe are other exciting things to enjoy for the whole family.